I finally got a grown up blender! I’ve been living this whole time with the cheapest blender available and a super tiny food processor. Finally I decided it was time to be a real adult and now I have a nice big food processor and super amazing Blendtec blender! 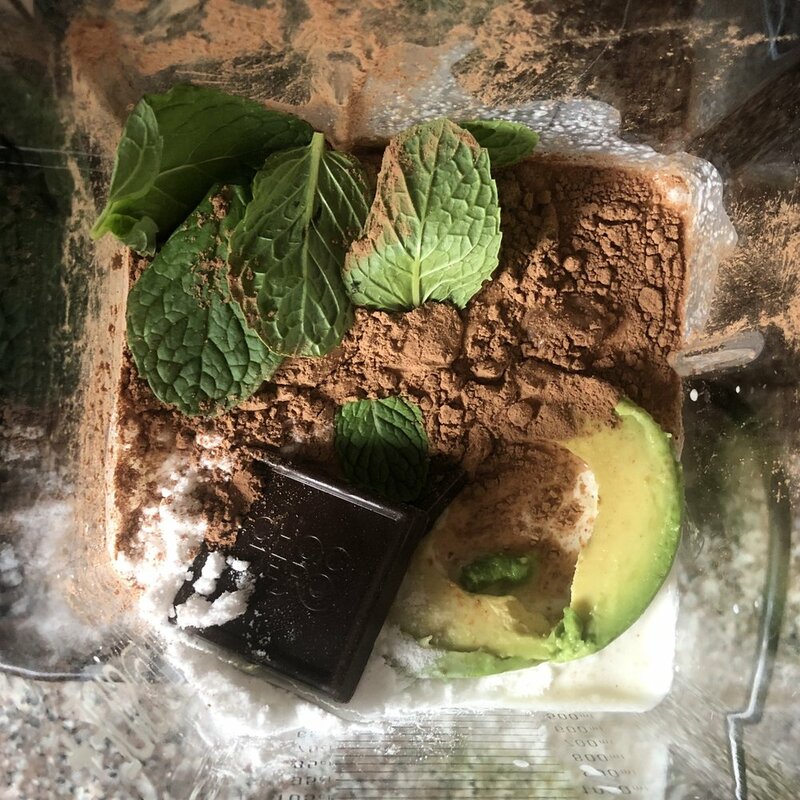 I was amazed at the power in this blender and it is super easy to use! The first thing I decided to make was a Mint Chocolate Chip Smoothie for my daughter and I! It’s a take on a recipe I have in my second cookbook, The Big Book of Keto, but it’s a little different. It is such a yummy treat or meal. Put liquid in the blender first, then solids, then ice. Blend it all up until fully combined. Use a sharp knife to shave the chocolate square and place chocolate shavings on top of smoothie. I also like to add an additional fresh mint leaf for garnish. Blendtec has a sale on their website for 30% off of jars until 2/15, otherwise you can find the model I have on my Amazon store!